Does the thought of buying an antenna tower make you nervous? If so, it’s perfectly normal. This is a HUGE purchase, and there’s a lot you need to know beforehand. Like how high should your tower be? And is it going to need guy wires? (What are guy wires, anyway?) Then there’s the question of which brand to buy. All of this doesn’t have to be overwhelming when you call Solid Signal. We carry a wide range of these structures from the top suppliers, and we offer expert customer support to make your antenna tower installation a success. An antenna tower is used to secure an antenna or satellite dish high in the sky. Choosing the right antenna tower is a process. Fortunately, we have in-house product experts to help you every step of the way. Solid Signal Customer Care have matched many people with antenna towers for residential and commercial installations. To help you get the ideal antenna tower, we will take you through their six-point process. In the end, we will identify what you need, calculate your shipping costs, and more. This is how Solid Signals provides you with a worry-free antenna tower installation. Solid Signal carries antenna towers ranging from 20 to 100 feet or more. The biggest question our customer service team gets from customers is, “How high do I need to go.” Their answer to this is straightforward. “You have to go as high as you need to get a clear signal. The height of your antenna tower depends upon how tall the trees, buildings, and other obstructions are between you and the TV transmitters.” Solid Signal helps you determine your ideal antenna tower height based upon your installation. What antenna tower brand is best for your installation? That’s something that Solid Signal is happy to help determine. We carry these units from American Tower Corporation, Rohn, Sabre, and Trylon. All of these are top-selling companies, and the antenna tower you need depends upon your installation. When you work with Solid Signal, you know you will get a structure from one of the best antenna tower suppliers. Does your antenna tower need support? If you’re not sure, Solid Signal helps you determine figure this out. Guy wires attach to the top your antenna tower and are anchored into the ground. These antenna tower parts help keep the unit stable during high winds and storms. To determine if your installation needs guy wires, We will look at a number of factors including how high your antenna tower is and the weight it supports. Solid Signal carries a wide variety of antenna tower parts. This lets you purchase the replacement pieces you need for an existing structure. This is called “piecemealing,” and it’s part of Solid Signal’s customer support process. All antenna towers require a base plate, mid-section, and top section. Beyond that, the number of individual components you need can vary. Since you cannot mix and match antenna tower parts between brands, Solid Signal will make sure you get the right components for your installation the first time. Antenna towers and parts are big and heavy. The shipping costs tends to be high because these items are shipped via freight carrier due to their size. To keep you fully informed, Solid Signal calculates the shipping price of your antenna tower. You will know exactly how much everything costs before you place your order. An antenna tower is not a small purchase. These structures are large, heavy, and represent a significant investment for you. If you need an antenna tower or antenna tower parts, we recommend you give us a call. We have product experts who specializes in these units. We will make sure you get the best antenna tower at the best price. To start the process, call Solid Signal at 877.312.4547. 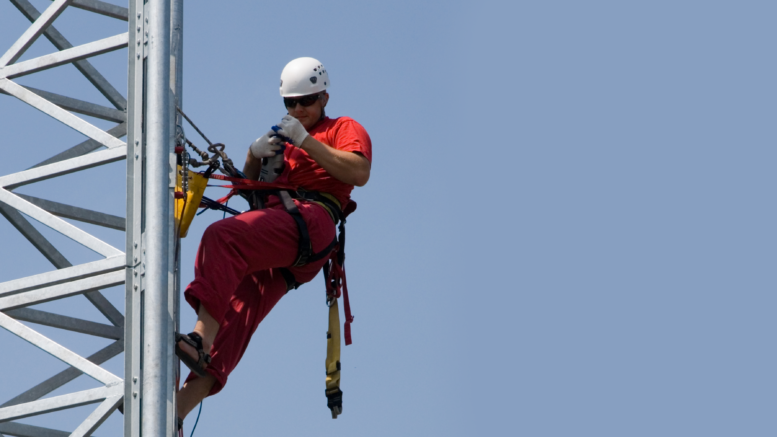 We will connect you with the appropriate support rep who can start the process to help complete your antenna tower installation. Can you put a TV antenna on your apartment patio?